Solar Vitalization with Surya Namaskar, over coming anxiety, depression and restlessness. I adore the practice of Surya Namaskar, not only because it makes me feel strong in my body, flexible and with increased energy, but because it totally connects me to the natural laws of nature. It is so much more than just a physical exercise but a way to express oneself and ignite the solar energy that lies within us. Of course the physical benefits are there, toning the whole body, increasing respiration and detoxing through the build up of toxins in the lungs and kidneys. It stimulates and harmonizes the endocrine system - regulating the efficient working order of the glands and metabolic system and massages the internal organs as well as increasing flexibility and strength. The whole body receives a boon with the practice. 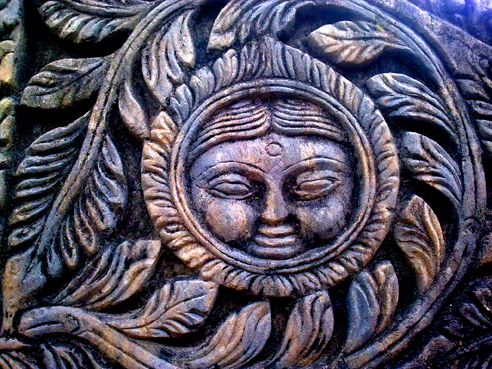 However when also practiced with an awareness of the cycles of the sun within the 24 hours, the different elements to the day and how the energy changes within us, we can become fully connected back to the universe and her cycles and feel mentally balanced and back in touch with our true nature; that of Sat Chid Ananda - that of pure consciousness, existence and bliss absolute. Surya Namaskar practiced with absolute awareness is a powerful means to bring us back to ourselves through the self and become whole and at one again. This practice is not only preventative for disease and illness of the body and mind but also heals the sufferings we may be going through, it is one of the most powerful tools a yoga therapist has in their tool box. As you stand in tadasana and bring the palms together in front of the heart, imagine the wonderful rising sun - a time of dusk and peace, drawing that peace into the heart. As you reach up towards the sun arching backward, draw all the energy of the sun into the body and through every pore in the body bringing upmost energy and vitalization. Draw every ray of light into yourself. As you come down towards the earth in padahastasana - look within for inspiration from the inner guru and draw the energy downwards, take time to go deeper within the self. As you step back to ashwa sanchalanasana look upward for power and courage, the self confidence is there after looking within to the inner guide. As you step back to the plank we make a little prayer for our progress in our life on our path. As you come down to ashtanga namaskar we look to the earth for nourishment and support, this is representing the mid day sun when energy is at an ebb and we may be at our most vulnerable and we make a gesture of surrender. As we rise up into bhujangasana we look up to the cosmic golden self represented in the light, showing an awakening from ignorance to knowledge as we ascent back up toward a pure state of being. As we push back to parvatasana - the inverted V, we again introvert and look inwards with introspection providing balance from an extroverted daily life. As we step forward back to ashwa sanchalanasana we look again upward to the cosmic mother for her infinite energy and wisdom. Stepping forward to reach again padahastasana - the standing forward fold we make a little prayer for inspiration and stimulation from the power of the sun. As we rise back up to hasta utthanasana we lift ourselves up to the one who is fit to be praised - the giver of all life, the one whom shines on all and is friend of all. 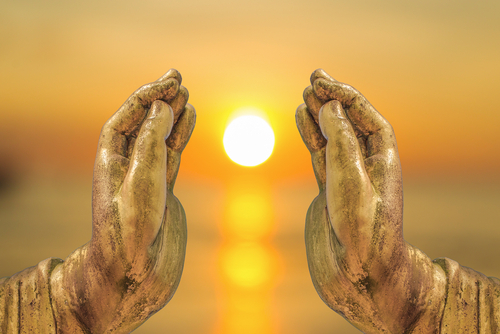 As we come back to bringing the hands together in namaskar mudra in front of the heart center, hold the beautiful setting sun between the palms, the time of dusk and again feel the peacefulness of this time. A time of stillness and tranquility, no restlessness - just being. Surya Namaskar is an amazing technique and when you have learnt it and fully experienced each of the 12 postures from not only a physical level but from that also of expression, thought and feeling - it is an wonderful priceless practice passed down over generation and generation. So turn your head upward and look to the glorious sun, go deeper within and feel every part of your beautiful existence. Be the light of the all mighty sun and shine shine shine! The mind is nothing but thoughts, when we sit for meditation largely it is concentration that we are practicing, this is with effort. When mediation occurs this is without effort, and it will come naturally when the time is right for you. In concentration there is you and many thoughts with one thought in mind, you are trying to keep that one thought, in meditation there is you and you have merged with that one thought for the purpose of liberation. But to reach that state we have to practice, practice and practice. Yoga should be practiced everyday - you don't eat just once a week! Have beautiful days full of practice! 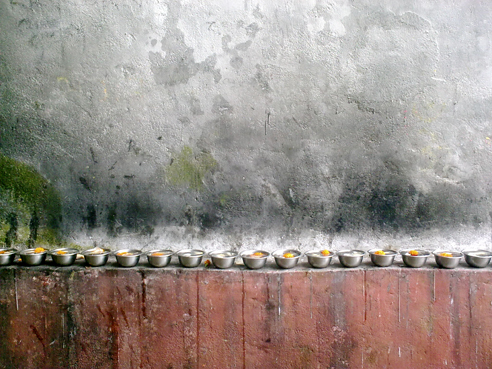 AS I sit infront of the Lingam it speaks to me in silence. My mind becomes calmer, and a gentle concentrated stillness begins. Sometimes it is a fleeting moment, sometimes there is length. 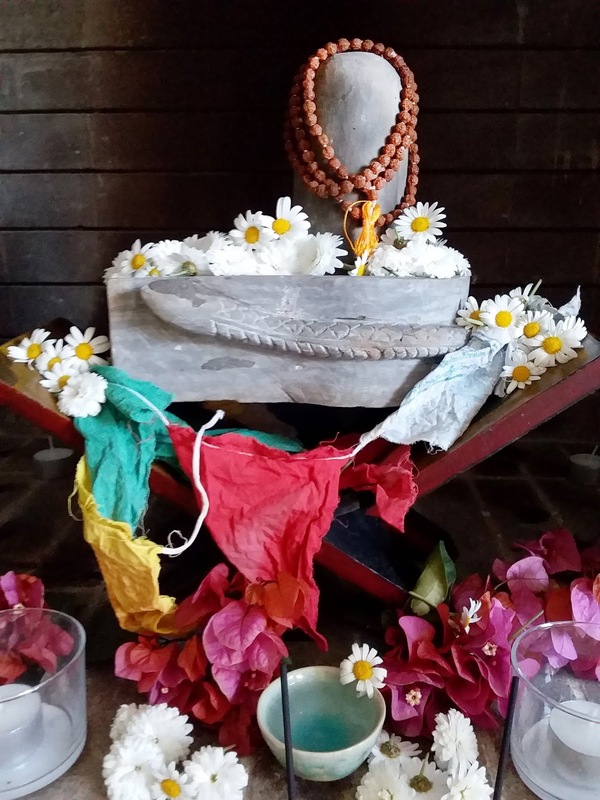 But always to come and gaze in front of the sacred Lingam brings something deep, profound and there is an awareness of the consciousness that this symbol is. Reality whispers and the mirage that surrounds us dissipates. The whole of creation came out of the Lingam, out of consciousness and energy, Prakriti and Purusha, and in the end we merge back to Lingam - the place of our origin. I am that eternal consciousness and bliss, silence the pain and anxiety you feel and come back to peace. Rest away from your restlessness in your true nature of silence and a celebration of the life that you are. The blue skies are always there, the clouds just come and go, come and go. There is no need to create the blue skies they are already there. May you reach Siva and find the answer within. I am the eternal Siva. The wise Sage that Shankaracharya was talking to was Swami Govindapada Acharya and was indeed the teacher that he was looking for. This is an amazing summery of the whole of Advaita Vedanta the non-dualistic philosophy, that as a simple yogi I look into and have been taught by my Gurus. It is a wonderful composition that looks at the essence of Vairagya - that of dispassion, detachment or renunciation and we can say in particular that of the renunciation of the pains and pleasures in the temporary material world. I have been trying to explain this recently when I look at the reactions of others at the way I live. This doesn't mean suppression, being fundamental, violent to oneself or denying ones needs; but the ability to see beyond the limitations of the worldly things and know that the journey one can embark on beyond them is the greatest. 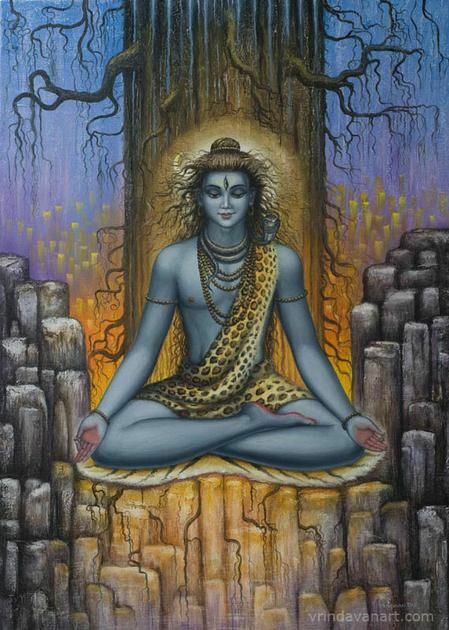 Indulging ourselves in the worldly temporary things only pulls us away from the greatest discovery - I am that form of consciousness and bliss, I am the eternal Siva. Maha Sivayatri will fall on March 4 th this year, enjoy the preparations and Sadhana. Wishing you the greatest ride of your life! Concluding values to find some headspace. The journey of life can be a little bit like a rollercoaster ride, sometimes elating and sometimes we are on the downward pull. We can feel a little overwhelmed at times, at thoughts that arise or at the world that surrounds us or situations within the community or family. We might want things to be different than they are now, the mind may be overwhelmingly negative or busy. Looking into these values ​​is going to help you make a roller coaster ride into a peaceful boat ride on a gentle river. Remember life is beautiful - a gift and a great opportunity to self explore and become joyful and aware of the beauties that are inside and all around us. There is no moment that should be lost. In the last two posts we have looked into some of the values and here are the last ones given by Lord Krishna to Arjuna as he stands on the battlefield, that battlefield symbolic of our daily struggles and what we go through. Understanding the nature of the human existence - This is having a realistic view of our life span - death is certain for one who is born, but there can be no knowing of when this will come, and if we reach old age probably disease will also visit. Acknowledging the realities but still marveling at life takes a certain attitude. We should endeavor to be alive to the fullest each moment, and make it work towards the greatest discovery of the true self; which lies beyond these limitations. Freedom from ownership - We do not own anything because we are not the author of anything - we are not the creator alone, we are here but what did we bring with us? We achieve nothing by ourselves. We may have a few things but we do not own them. We may make a pot of clay, but where did the clay come from? Everything is given. Developing an attitude of caring but without attachment - we have people in our lives, they may be a partner, friend, child or other family member, we should remember that we do not own them - they are free in their own entities. Try to let go of any ideas of control, take good care of them but let them be free. Equanimity of mind - keeping our poise when we are in a situation that we can consider good or bad or good or bad company. Being contented in success or in failure or in essence the attitude of a karma yogi; that the result of our actions is not in our hands so we are happy with what is given even though this may be different than our intention. Devotion - Keeping our hearts and minds set on a higher awareness, or a greater force, will prevent the ego from growing. We need to find what works for us, to what should we be devotional. That only you can find by practice and enquiry and from not following blindly. Absence of craving for company - know that you can be happy by yourself. Craving to be with others can also be an escape from taking the time to look at yourself. Study and seeing the self - by looking into the teachings and by constant self observation, see the truth about yourself or at least start to delve into it on a journey of discovery. Find that you are profoundly beautiful and limitless, keep these in mind and enjoy them in contemplation. I have these values ​​pinned on the door to my meditation space; reading through them is a great way to let them settle with you. Consider them and settle with them, allow them to take some space within you and become comfortable with them. Notice how you feel and to how you are reacting to situations that arise around or within you with these values in mind. Recommended reading - The Teaching of the Bhagavad Gita by Swami Dayananda. In the last posting we looked at five values ​​mentioned in the Bhagavad Gita to be able to maintain or work towards a calm and abiding mind. A mind that is peaceful and free from reactions from the world around us and the actions or words of others or our own ignorance when it rises. A mind that is suitable then to start to dive inward and begin to understand the nature of the true self and go beyond the limitations of the limited self. In any case no matter how deeply you want to dive or if you want to just dip your toes in, these values ​​are priceless nuggets of wisdom that can help reduce the things that bother us, by acknowleding them and taking them on board we become stronger and more contented. Instead of worrying about small things; that in our minds and through our imagination can turn into bigger things, we become more contented and can spend more time feeling the life that is around us and feeling the life that is within us. And that life is beautiful, so let your consciousness expand by taking a look at these values ​​and by applying them see your pleasantness increase! Serving the teacher or Guru - here the Gita says for you to completely surrender yourself to the teacher so you can receive knowledge. This does not mean that you surrender your intellect blindly and accept whatever you are told. You can not fill a full cup - you have to empty yourself so you can be filled. This does not mean you are open to exploitation, you still have to make your own decisions and choices, but readiness to serve the teacher represents and cultivates the right attitude. Purity - You maintain cleanliness both inside and outside your body, your clothes, your house etc., all kept clean by being alert about yourself. And by being alert about yourself this helps to cleanse the mind. Steadfastness - Whatever you are called upon to do by your family, society, countrymen or humanity, you do, holding your mind steady. It is our duty and we do it with good intent and enthusiasm. The results of your action are not your doing, that lies with a higher force, accept them and move on. Self-Restraint - mastery over the mind, trying to not let the ignorant mind gain control over the wise mind. Be aware of your thoughts and do not let negativities rise upward; a wise man sees everything as an opportunity. Do not get involved with gossiping or talking negatively about anyone. Try not to be misled by your own thoughts, we can constantly observe our thoughts and feelings, be aware of them but be unattached to them and know that all things pass, nothing is permanent. Dispassion towards sense objects - know that the pleasures of the world do not bring happiness; happiness lies internally not externally or with objects. Try not to be a slave to the sense organs and get caught up in advertisements, and our own likes and dislikes. One who is not caught up with the fancies of the mind has dispassion towards worldy things and can remain unaffected if one has them or not. Absence of Egoism - we never achieve anything by ourselves there are always a number of factors, people and considerations that help us achieve anything, remembering this reduces the ego. We will look at the remaining values ​​in the next posting. For now, with a peaceful, abiding mind, without wants and with a pure, steadfast mind, have beautiful days. 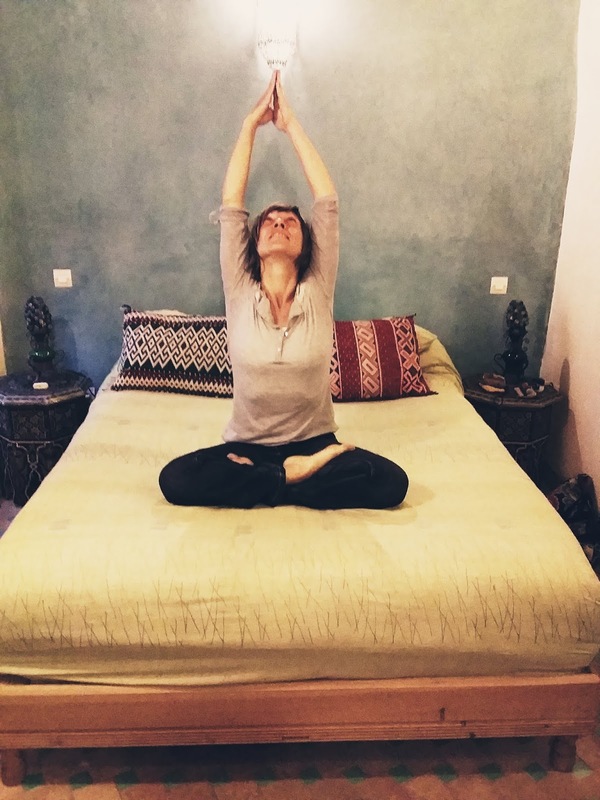 Nicky Zammit is a British Yoga Instructor and therapist currently based in Uganda. Nicky first found yoga many years ago in Cairo where a most beautiful Indian Lady installed a giant spark in her. Nicky has been traditionally trained at the International Sivananda Yoga Vedanta organisation in Madurai, India and the Sivananda Yoga Vidya Peetham organisation, where she was honoured to be initiated into the Sivananda lineage of teachers. She has been through the Teacher Training, Advanced Teacher Training and Sadhana Intensive, (intense spiritual practice.) 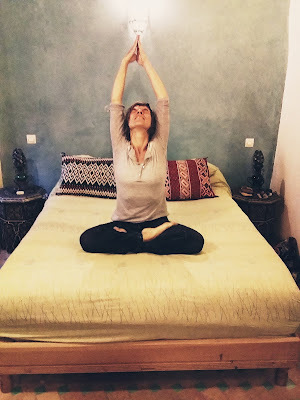 Also she has been trained with the Arsha Yoga Gurukulum into the practice of Comprehensive Yoga Therapy, enabling her to work with the individual and evaluate their every level of existence working to a practice that is best for them. She has also studied the foundations of Ayurveda whilst in Sri Lanka. Her passion for yoga on every level shines through her teaching and it is her wish to help and encourage others to become a more wholesome, happier and peaceful being. 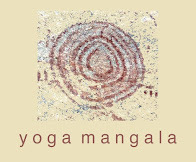 Yoga for Nicky is a huge leap into a journey of discovery - the biggest adventure of all is YOGA. ©nicola zammit. Awesome Inc. theme. Theme images by molotovcoketail. Powered by Blogger.